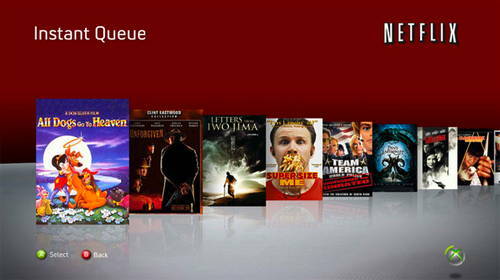 Microsoft Inks Exclusive Deal With Nexflix, But There's Hope For PS3 And Wii Owners | OhGizmo! By Chris Scott Barr on 08/14/09 • Leave a comment! I’ve been enjoying being able to stream Netflix to my 360 for a while now. What I don’t enjoy is paying for a Gold subscription in order to use it. One could argue that most 360 gamers already keep themselves at Gold status so they can play games online. That’s great for them, but I rarely play anything on my 360 with people online (I do most of my online gaming with my PC). I have both a PS3 and a Wii as well, and I’ve been hoping to hear something about getting Netflix on one of those, since neither charge for their online experience. Well finally we’ve heard something. It seems that Microsoft has managed to sign an exclusive deal with Netflix, making them the only ones with a console that streams movies from the service. There’s no word on just how long the exclusive deal is, but I’m guessing it’s no less than a year or two. I’ll give Microsoft one thing, it does add more value to a Gold subscription. It’s one more thing for them to cite when people complain about Sony offering online play for free. On a related note, PlayOn seems to be an interesting alternative that lets you stream Netflix (along with Hulu, YouTube and several others) to your TV with a PS3, Xbox 360 (without paying for a Gold Membership) and soon a Wii. I haven’t had a chance to test it out myself, but I’ll let you guys know when I do.